“...dominion from sea to sea and from the River to the ends of the earth” (Ps. 72:8). Recently, they have had some life-altering encounters with Holy Spirit and have been launched into full-time healing evangelism. The God-given dream is to see multiplied hundreds of people saved, healed, and fulfilling their destiny. It is time now to tilt the torch and see the fires of revival ignited all across Canada. Thank you Jesus! As they started the journey, new adventures with Holy Spirit began to unfold! "Freely we have received, freely give!" They pastored Word of Life Regional Church in Guelph for over 14 years, taught at Bible Colleges, and authored some publications. As the former President of the Evangelical Fellowship of Guelph, he is also a catalyst in seeing believers come together and walk in unity under one banner: JESUS (John 17:23). They have ministered in many churches across Canada…from “Sea to Sea” representing 20 different denominations, fellowships, and networks. He is an author, a prophetic minister of the gospel, and is beginning to be involved in television ministry as a guest. He received his Master of Theology in 2007. Chani has been actively involved in leading worship in Canada for local churches, conferences, and some city-wide and/or nationwide events. She is also a gifted teacher of the Word. Her humorous and effective communication style connects to the heart of listeners. Now, as President and founders of C2Sea Evangelistic Association & Network, there is an evangelistic thrust upon their lives to Canada. Brent is a member of the Canadian Coalition of Apostolic Leaders, part of the Canadian Prophetic Council, and the leadership team of the CRY. Brent, together with his wife Chani minister nationally and have an apostolic mandate to equip pastors and leaders for the harvest (Matt.24:14). 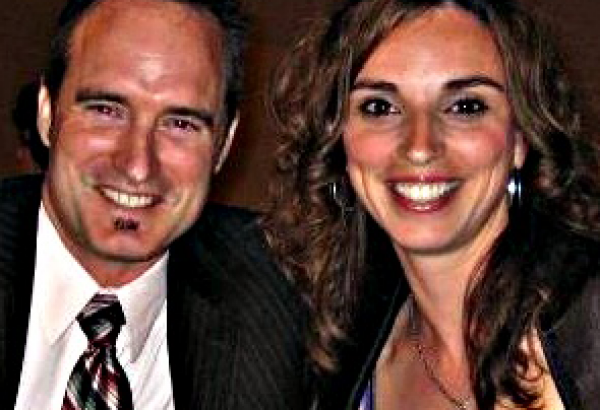 Brent & Chani and their three children live in Kingston, ON. C2Sea is a Canadian Ministry to Canada. And, of course, Canada’s destiny is to bring healing to the nations…so we are glad to be a part of this “open door” to be a blessing to the nations. RED- A nation cleansed by the blood of Jesus Christ. WHITE- A nation exalted in righteousness. C2SEA values the local church and we believe that every believer thrives by being connected to a local church family (Psalm 92:13). A place to enjoy healthy relationships with Jesus, others and the world! Follow us on Facebook to stay connected and for our travel itinerary!